A central concept within social and emotional learning is the idea of the development of a child’s sense of self. But what is a ‘self’? What does the ‘self’ do? Do we actually experience this thing in ourselves as a self, or, when we’re in different social contexts, do we feel ourselves to be different people, such that we have several co-existing selves? These sorts of questions have fascinated Dr Jo Warin, a senior lecturer in social and emotional learning in the Department of Educational Research at Lancaster University and Director of the BSc in Psychology in Education. She explored these questions in a longitudinal study, carried out with young people aged from three to seven. The study was recently published by Trentham, entitled Stories of self: tracking children’s identity and wellbeing through the school years. The study followed ten young people from when they were three years old and located in a range of pre-school settings, and went on for the next fourteen years. At the commencement of the study, Dr Warin was interested to see how self-awareness would be influenced by the increase in the number of other people with whom the young child interacted as they transitioned from pre-school to primary school. She tracked them from pre-school, through prep and on until the end of grade two. She collected a lot of information concerning their initial ideas about their own identities, as they began to make comparisons with other children and as they began to realise that others were forming judgments about them too. She wanted to know whether the children could express how they had changed, and how they had perhaps remained the same, as they progressed through the early years of primary school. After a long break in the study, Dr Warin caught up with the children again, when they were in year eight at secondary school, after a gap of seven years. To prompt the subjects of her study to make statements about the ‘self’, she used mainly conversational methods to obtain her information, but also, in order to make the experience a bit of fun, she used time-lines, discussions of preferred photos, and Pip Wilson’s Blob People Tree, a useful visual device for helping people to articulate their feelings in a non-verbal way. The tree idea is useful for expressing how one feels in different group situations, such as a work team, social group, family or school group. Individual Blob People are used to show how one feels about any aspect of their life. After this stage of sequenced interviews in year eight, she then continued to arrange opportunities for conversations up until the young people were aged seventeen. Dr Warin was interested in how much the children in her study reflected the snail shell idea of consistency over time. 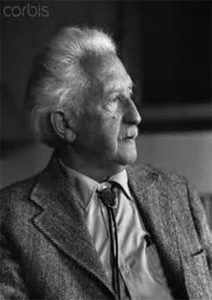 She wondered if they were like the young people who were discussed by the developmental psychologist, Susan Harter, as having agonised over who they ‘really were’, and in so doing conformed to Erik Erikson’s portrayal of the ‘work’ of adolescence as the construction of self. Or was it that this idea of a consistent self, building on repeated characteristics over time, simply not matter to them? She found that a lot depended on the opportunities the children had both in school and out of school for reflecting on their social relationships, making social comparisons and building up a narrative of self. Martin, Shelley, Simon, Jayne and Liam, and follows their lives from pre-school to the end of formal schooling, homing in on social and personal aspects of the making of identity and emphasising the educational importance of self-awareness and awareness of others. For example, in telling Martin’s story, she speculates about the origins of his value for an authentic self, an idea he spoke about on several occasions, especially when he felt that others saw him in a way that was at odds with his own self beliefs, for example being seen as a ‘Harry Potter’. With Liam, she looked at the influence of social class on processes of self-making, and concluded that school-based opportunities for self-reflection are crucial inasmuch as that all children need to have access to the resources for building up a story of self. The children’s development explored in Dr Warin’s book confirms Erikson’s connection between identity and wellbeing. Dr Warin found that it is during times of vulnerability, especially social vulnerability, that the need for self is activated. Simon’s story provides a patent example of this, when, following a traumatising gang attack by some older boys, he speaks, both literally and figuratively, about his strengthening himself. At times of transition, or following emotionally difficult times, the construction of self is especially necessary for bolstering the self, when it has become fragile, in other words, for building resilience. Her observation of part of these children’s lives, together with sociological and psychological theories about identity, led Dr Warin to conclude that a sense of self is a resource for coping with and managing our social experiences. This makes it essential for early childhood educators to address the issue of how they can help children’s identities develop, and to be more specific in the ways they think about the development of young children’s identities. In early childhood education and care practice, these ideas translate into educators’ engaging children in reflecting on their relationships with others, in comparing different kinds of social relationships and in developing and discussing their sense of self, that is who they are. With children on the cusp of transition to school, having a strongly resilient sense of self provides protection in a time of increased vulnerability, where, if too many things go wrong, it can set the child on an undesirable educational trajectory that stymies their long-term progress at school. 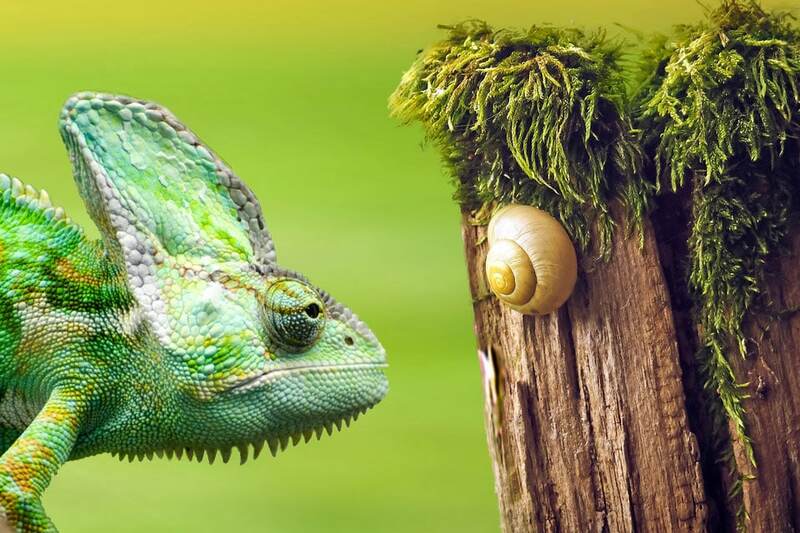 Be they chameleons or snails, as young children, they both have a lot of ‘self’ to construct. Unless their educators understand the importance of a child’s strong sense of self, they cannot put their best efforts into helping children become the fully developed person they are destined to be. Margaret Tyson on With ADHD, the brain is wired differently!